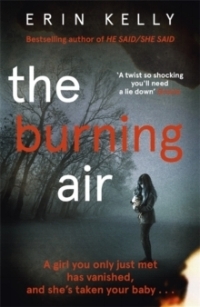 Journalist turned psychological thriller writer Erin Kelly is one of those writers who has hit their stride and is just getting better and we would like to help spread the word. To celebrate the forthcoming release of Erin’s new book He Said/She Said next month we are offering Erin’s paperbacks at £2 off for a limited period. Just to whet your appetite! 'Tense and menacing right from page one, filled with foreboding and a terrible sense of the inevitable. Erin builds a feeling of claustrophobia and of seemingly ordinary people driven to do extraordinary things. It's a gripping psychological thrill evoking the brooding atmosphere of Rebecca. Paul has been led into a life of crime by his schoolyard protector, Daniel. Now, at nineteen, he must bear witness against his friend to avoid imprisonment.Louisa, who years ago fled from her own dark secrets, spends her days renovating the grounds of a crumbling Elizabethan mansion. A relationship develops between them, and Louisa starts to believe she can finally experience the happiness she had given up on; but it soon becomes apparent that neither of them can outrun their violent past . A clever tale of a life of repressed hatred and years of planned revenge and retribution. It all ends in tragedy for some and an uncertain peace for others. Questions are left unanswered. The reader's imagination must fill in the gaps which means that days later you are still thinking about it. A wonderfully written tale of an investigative journalist, Luke, wanting to write a book about the criminal world of the 60s and in particular an ace safe cracker. You learn from the prologue that he has got himself into a very nasty predicament and might not survive. As you read on it is unclear as to who is responsible for there are several candidates to choose from.